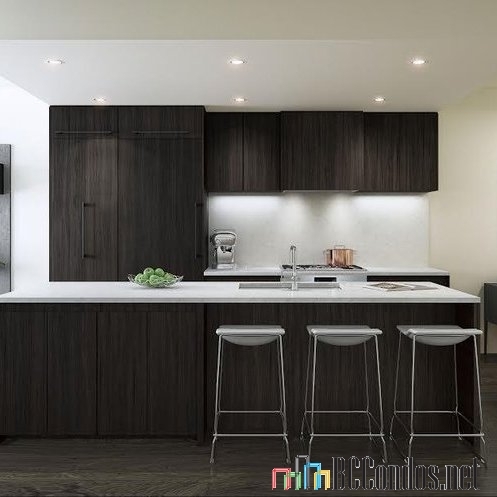 Maisonette at 7323 Granville Street, Vancouver, 3 levels, 17 three bedroom townhomes, From 1496 SqFt Up to 1787 SqFt, estimated completion Winter 2018, Crossing roads: Granville Street and West 57th Avenue Vancouver. 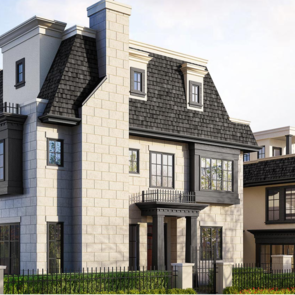 Maisonette by Marcon, a collection of three bedroom 17 heritage inspired courtyard townhomes in an established neighborhhod of Kerrisdale, Vancouver. 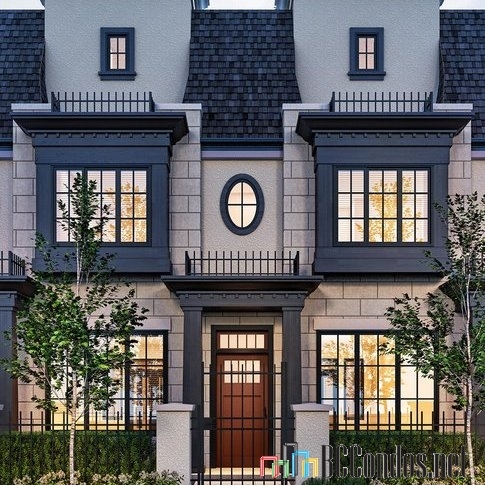 Designed by award-winning Formwerks Architectural Inc., Maisonette impressess with attractive brick cladding, gables and wood trim details. 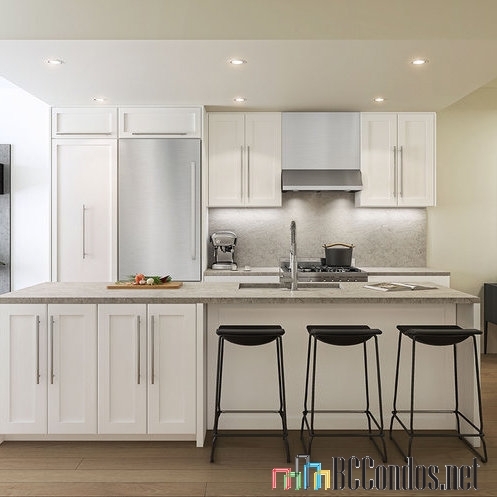 Inside, airconditioning homes offer Oak hardwood flooring, built-in Wall Safe, gourmet kitchens with Caesarstone countertops and Bosch stainless steel appliances. Gated & surrounding a private courtyard, parking with direct home access, generous patios, decks and roof top decks (some plans) to extend living space. 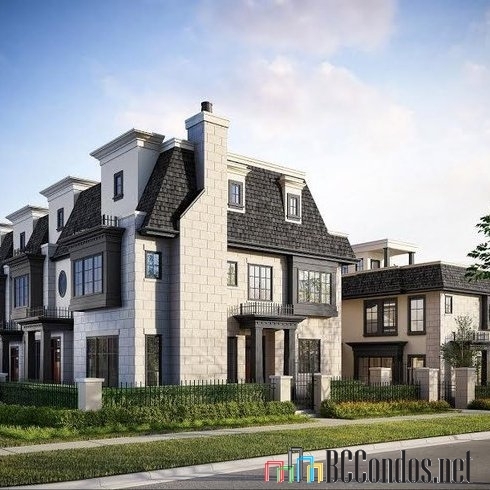 Situated in an established and well-connected Westside Vancouver neighbourhood, Maisonette is close to famous schools like Magee Secondary, DR. R.E Mckechie Elementary, Oakridge Shopping Center, and downtown. 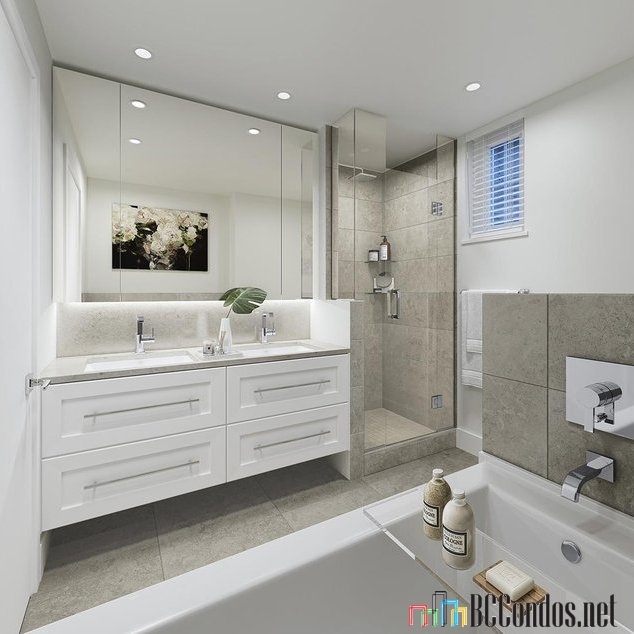 Plus, enjoy the close proximity to an eclectic collection of shops and services along Granville Street; a cup of coffee, fresh groceries, and a public library all less than 10 minutes away. "Sorry there are no listings. 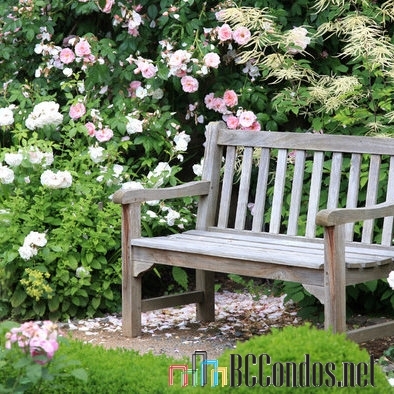 Please click here to view Kerrisdale listings"